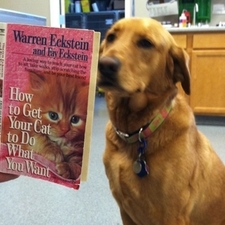 Casco Bay Veterinary Hospital is aware of the vast amount of information available on the internet. Our team has taken the time and evaluated the following sites. We trust the information the listed websites provide to you, our client, and member of our family. 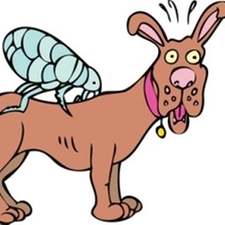 We carry a wide array of flea and tick prevention. We have topicals, chewables and collars, depending on the needs of you and your pet. We would be happy to assist you in choosing one of these products. Treating dental disease is more than just scaling teeth. Treating dental disease involves several steps including probing of teeth, scaling, radiographs (as needed), extractions and suturing (as needed), polishing and a flouride treatment. Proper dental treatment involving the steps described above cannot be accomplished without general anesthesia. Dental cleanings done without anesthesia are only cosmetic and vital steps are skipped so that the teeth may look clean but harmful conditions under the gumline continue to progress and harm your pet. Dental disease has systemic effects throughout the entire body and can result in serious medical diseases and conditions when left untreated. We utilize a state-of-the-art dental unit that uses air and water to create the vibration of our ultrasonic scaler. This is safer and protects teeth from damage due to excessive vibration commonly found with older ultrasonic scalers. Our digital dental radiology unit is safer for your pet in that it reduces unnecessary radiation and provides sharp, detailed images so that tooth roots and bony oral structures can be examined closely. Our high speed dental drill allows us to section teeth and extract them in a safer manner so that nearby structures are not damanged by excessive force. We have the ability to perform dental treatments from simple dental prophylaxis to advanced higher risk dental procedures. Dental disease not only affects teeth and gums, it causes and promotes many other diseases. 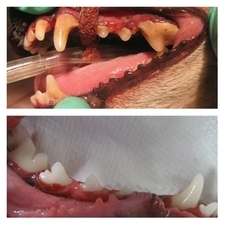 Dental disease is a systemic disease that affects your pet's overall health.